This really isn't a fair review since my box date is September 2018. This is a real young cigar and needs some significant time in the humidor. I love Bolivars earthy rich loam smell and taste - this batch doesn't have that. I was disappointed in the olfactory of this cigar since that is what has always drawn me to it. I will tuck these away for a year and see how they age. It pains me to give this cigar a "3" but that's where it is today. Received these cigars about 6 months ago. The box is dated August 16. Excellent packaging and shipping. 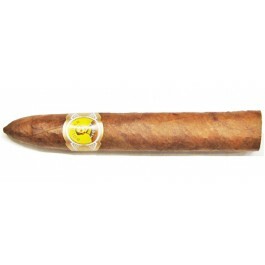 Excellent construction of the cigar, great appearance and aroma. Not experienced enough to pick out all the flavours, but a cigar that I completely enjoyed. This is the 3rd box of these cigars that I have ordered and have never been disappointed. Smoking time is 1.5 hours. Cigar is one of my favorites. Awesome peppery Taste great draw earthy aroma . Great smoke all the way thru . This is a gem of a Cigar . It is medium bodied with several flavor notes . Most prevalent is hay and earthy notes from the rich soil . I also taste a bit of cedar in these . While not peppery there are some spice notes in this . Just tried my first one a couple days ago, giving another a shot here tonight. The top 13 cigars looked great in the box, the bottom 12 had some slight cosmetic damage. As a smoke I thought it was nice, tight draw at first, but smooth draw thereafter. Wonderful aroma, like leathery mocha, and hits of pepper. I look forward to trying another, and perhaps aging the others to see how the flavors develop.